SAN FRANCISCO: An explosion on a gas line has set at least one San Francisco building on fire and is sending huge plumes of fire and smoke into the air, prompting evacuations of nearby buildings. 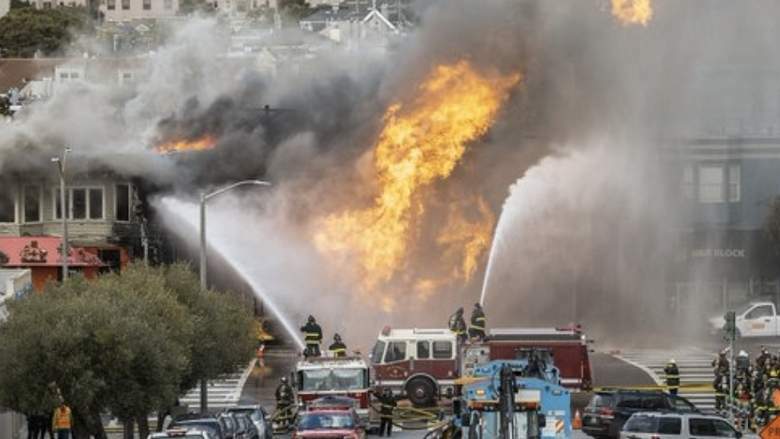 #DEVELOPING: San Francisco firefighters continue to battle three-alarm blaze caused by gas explosion. At least four buildings are involved, according to fire department.